Are you interested in traveling to Mexico? We offer cultural tours for individual travelers, couples, or groups of up to fifty or more. We are NOT your average tour company. All of our trips are crafted specifically to suit your desires, needs and budget. What makes our tours different? Due to our intimate relationships with friends in all parts of Mexico, and extensive knowledge of the country, we open doors that are otherwise closed to most tour groups. When we are in a village with no restaurant in sight, a wonderful meal always appears where you least expect it. Artisans not only have their products for sale, but give a demonstration of how the pieces are made. Restaurants are handpicked for their quality of food and service. Hotels, whether they are 5 star or small bed and breakfasts, are selected for their hospitality, charm and cleanliness. When we do not know it all, we hire the best local guides to help us make your experience of Mexico truly unique and fulfilling. The little sidebars to the history and culture of this wonderful country are what make our tours special. Trips can be specifically constructed to Folk Art, Mexican Food & Cooking, History & Archeology, Traditions & Fiestas, or a combination of all. One of our most popular tours is “Day of the Dead” in Michoacán. 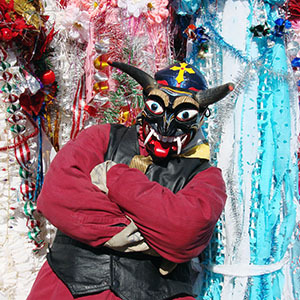 Rick has twenty three consecutive years in Pátzcuaro and the surrounding indigenous villages, experiencing the unique aspects of this traditional holiday celebration. The tour includes entry into artisan homes, trips to villages to see the preparations for this mystical event, plus visits to home altars and small pueblo cemeteries with their aroma of copal and cempazuchitl blossoms amidst the flickering candlelight. 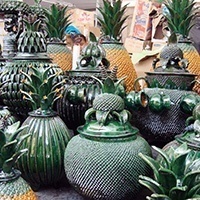 All of this plus the second-largest Folk Art Market in Mexico, set in one of the most magnificent plazas in the country, make it a once in a lifetime experience. 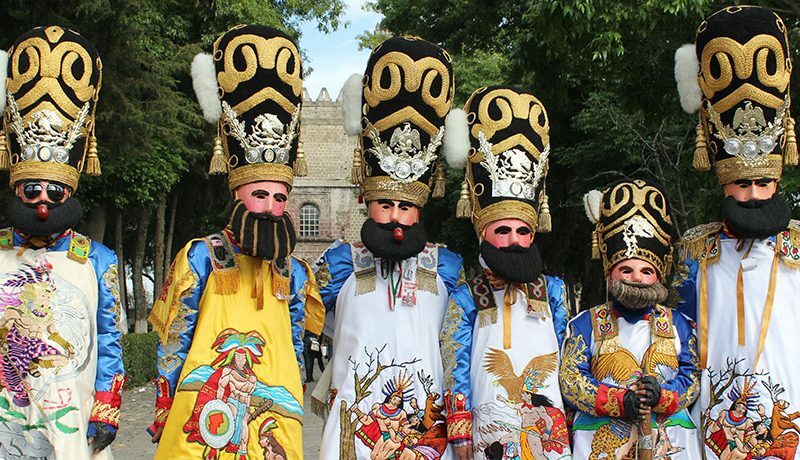 Other Michoacán tours include the “Meseta Purépecha“, the “Volcano of Paricutín“, “Santa Clara del Cobre“, “The Lakeside Towns of Pátzcuaro“, and “The Fiestas of Michoacán“, where one will see firsthand the traditional dances (masked and unmasked), Toritos de Petate and the rainbow of colors from the flowers and native dress of each fiesta. During the Michoacán tours you will experience folk art made from clay, copper, wood, straw, textile weaving and much more. All of this included, plus 16th century architecture and incredible food, unique to the area. 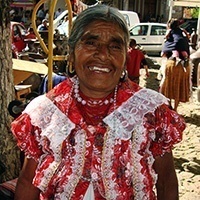 Other popular tours include the “Artisans and Folk Art of Oaxaca“. Oaxaca City and its surrounding villages are a treasure trove of architectural wonders. On this trip you will experience not only many different types of folk art, including clay, wood and textiles, but you will also visit the wonderful archeological sites of Monte Albán and Mitla. 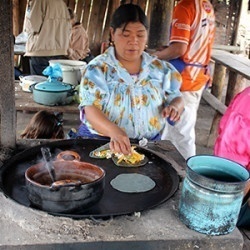 The food, including the 7 Moles, and indigenous markets of Oaxaca are not to be missed. Puebla is not only an enchanting city, but an incredible state. Akin to the ancient cities of Spain, Puebla welcomes the traveler with the grandeur of its buildings and churches adorned with Talavera and gold filigree. All this can be viewed from the numerous cafes lining the plaza. Long considered the gastronomic heart of Mexico, the city is a gourmet’s delight. 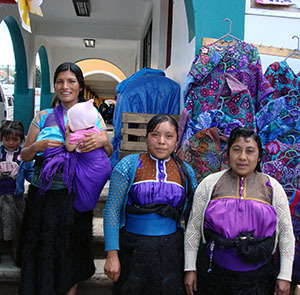 From talavera in the city of Puebla and the clay trees of life from Izúcar de Matamoros and Acatlán, to the papel amate and colorful embroideries from San Pablito Pahuatlán and the wonderful weavings and costumes from Cuetzalan, the state offers the shopper an endless variety of original products. A visit to nearby Cholula, with its 300 plus churches and chapels, one perched on top of an ancient pyramid, is just an example of the uniqueness of the state of Puebla. 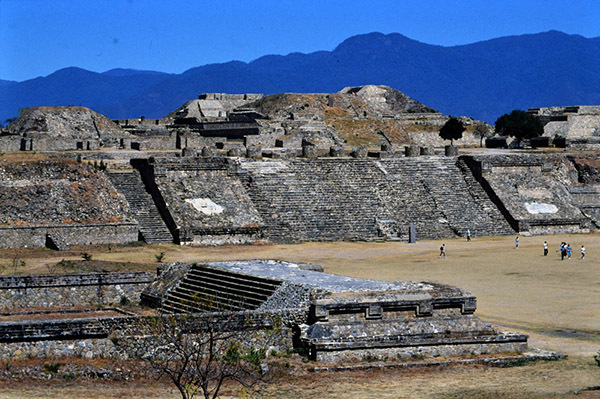 Chiapas is the mystical “Land of the Maya“. Our tour begins with the city of San Cristobal de las Casas, set high in the mountains, with its beautiful architecture, expansive plazas and colonial churches. 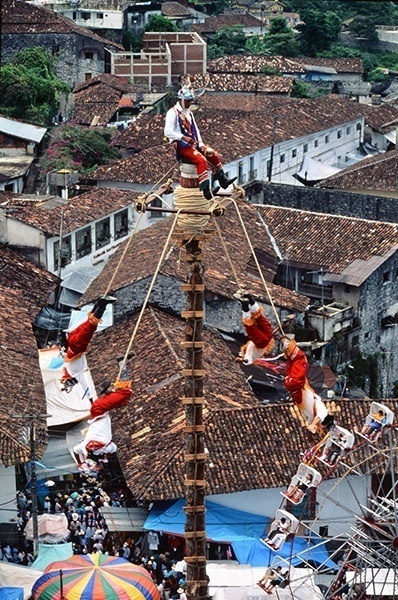 From there, in each direction, we venture out to typical villages, each known for its unique patterns of weaving, native dress, customs and traditional fiestas. 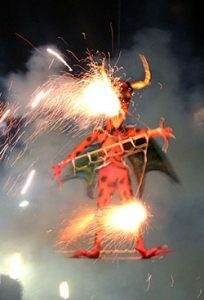 This trip can be scheduled so that one experiences the fiestas and traditions unique to the Mayan culture. 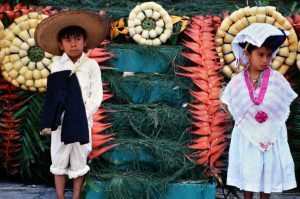 The municipio of San Juan Chamula, for example, is said to have the most concentrated grouping of indigenous people in the New World, and their traditional Fiesta Patronal, in honor of St. John the Baptist, in late June, is a one of a kind experience! A visit to the ruins of Palenque and Toniná and the spectacular waterfalls of Agua Azul and Misol Ha, can easily be added to this adventure. These are just a few highlights, among the limitless possibilities, that Mexico and zócalo folk art have to offer. After all their years travelling Mexico, Rick and Kena still get excited when they see the women on the streets in their native dress, the sound of the “banda” and the BANG! of the cohetes (fireworks). The wide spectrum of colors, sounds and the chaos of Mexico will become part of your life too! You may have other ideas for places to visit. Our dates are flexible and our itineraries are planned according to your wishes Just let us know your interests and we will make the trip of YOUR lifetime a reality!